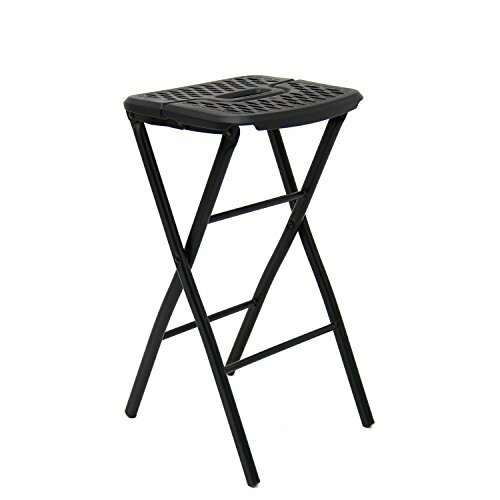 Folding Stool features a patterned plastic design which allows the seat to flex and support the contours of your body. The unique design makes it easy to fold and store. Extra slim folded profile. The dimensions of this stool is 24" , when folded flat it is 31"
If you have any questions about this product by FlexOne, contact us by completing and submitting the form below. If you are looking for a specif part number, please include it with your message. REDCAMP Folding Camp Stool Portable, Set of 2, Lightweight Camping Stools Plastic with Durable Steel Frame Legs, 15"
LEHKG Folding Chair, Portable Folding Stool for Kids Adults, Ultralight Foldable Stool for Camping Fishing Hiking.